We appreciate that your investment abroad is a valuable asset. Properties can depreciate in value due to neglect and lack of maintenance over time. We ensure with our management service that your property is secure, maintained and always ready for you to enjoy or for you to realise it´s investment potential. Use any of our bespoke services for a set annual membership fee. To ensure that we are providing the best possible service we will ask our customers to return an optional 6 monthly feedback survey. · Spring clean of the property. We will inform you if any repairs are needed. We will provide you with a quotation from one of our experienced team, overseeing the work and providing you with photographic evidence on completion. This entitles you access to all our Bespoke Services, provided by our local professional team. We will provide you with a membership i.d. card that entitles you to a quality discounted service from our list of suppliers and quality stores. Emergency contact numbers for Security, veterinary, electrical, plumbing and doctors services. Information on regular bespoke services can be obtained from the hours of 8am – 8pm 7 days a week. 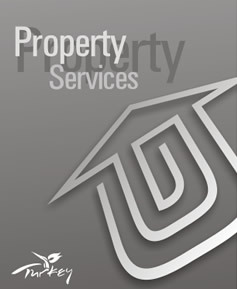 Membership is included with our Property Management Xtra Service. Our experience in real estate ensures that our clients get a reliable, cost effective service with a straight forward attitude. We pride ourselves on our no pressure approach, guiding you through the buying process from finding your property to completion of sale together with meeting your requirements after the sale. As a Turkish company with foreign partners we are able to understand all our customers’ individual needs. We strive to help our clients integrate into their new surroundings, applying an ethical approach, respecting local communities and traditions. We have an extensive range of properties and locations for sale and rental in the Bodrum area, including hotels, off- plan, re-sale, shopping centres, businesses, apartments, villas, farm houses and land. Our services include assistance with legal advice, resale mediation between seller and buyer, construction and property management, help with designing property and after sales services and we will advertise you property for sale or rental extensively both locally and internationally. Our main office in Güvercinlik invites you to visit us to experience first hand how our company operates and view our extensive portfolios of land and properties.